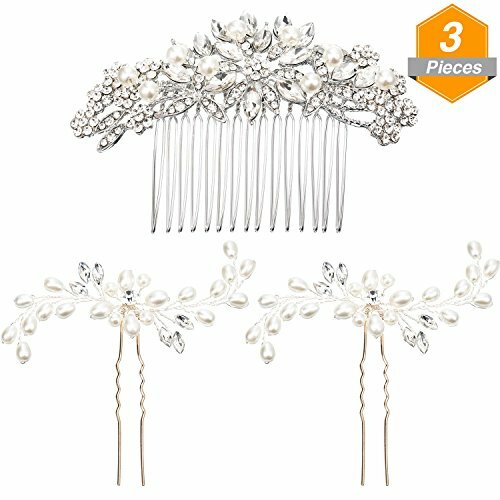 The package includes 1 piece crystal pearl leaves and flowers hair comb, 2 pieces bridal hair pins. They are hair decorative accessories on wedding, holidays, anniversary, parties, dinner, prom, show, daily wearing, engagement, birthday, Valentine's Day, Christmas Day, Mothers Day, etc. You can also give them to your girlfriend, lover, sister, mother, brides, bridesmaids, colleagues and boudoirs. Please allow 0.1 - 0.6 cm size error due yo purely hand measuring. If you have any questions about this product by Gejoy, contact us by completing and submitting the form below. If you are looking for a specif part number, please include it with your message.